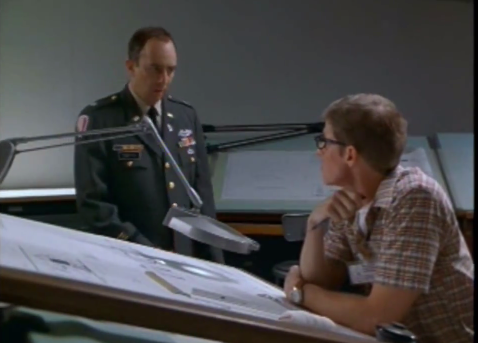 The Pentagon Wars, made as an HBO movie in 1998, is based on a book of the same name by Col. James Burton (retd). The film depicts the development of the Bradley fighting vehicle. Col Burton was appointed by Congress as an outsider to oversee the testing of new weapons in development, including the Bradley. In order to get up to speed with the development history of the Bradley, Burton dives into the mountain of paperwork documenting it’s development. This is where we pick up the movie below for a 11-min scene that takes us through the “product development process” in flashbacks. The Bradley started with a simple goal – to be a troop carrier, transporting troops into combat. As you can see, by the end of the clip, the Bradley turned into something that was far from it’s original goal. We can think of Col Smith, who was in charge of the development of the Bradley, as the Product Manager. Unfortunately, Col Smith turns out to be a weak product manager, who lets executives run roughshod over his product plans, and completely loses sight of what his customer (the troops) need (quick, efficient and safe transport). Lets see what all went wrong. First, you have an executive with an agenda – the General who is pushing for the “scout”. That is his product, and unfortunately for him, it’s being rendered obsolete by better alternatives – radars, air recon and satellite systems. So fearing that the Bradley will eat up any budget and leave nothing for scouts, he hijacks the agenda, leveraging favors he has done to the other Generals. How does Col Smith deal with this? It is clear that Col Smith does not have currency with his executives and no buy-in. He tries to debate that the Bradley is too big to be a scout, and that you can’t really see out all that much from the inside, inviting a “design flaw” comment about the Bradley. Smith tries to make his arguments based on why the Bradley cannot be a scout, but does not state why it needs to be a troop carrier, the situation becomes worse when one of the generals senses some “revenue” by selling surveillance technology to another country. Ultimately Smith chooses to keep quiet, for fear of drawing his superiors’ ire which might affect his chances of getting promoted. What should Col Smith have done? This way Smith could have bought himself some time rather than let the executives design the product on the fly in the meeting (“and while we are at it, add some portholes”). This would have allowed him to involve his design team in front of the execs, rather than fighting this battle all by himself. 2. CAN YOU SQUEEZE IT IN? Smith has an interesting discussion with his designer who we can say is his architect/engineering counterpart. The designer does his best to point out the flaws in the reasoning. What does Smith do here? It does not seem that Smith has a good rapport with his architect/designer/engineering counterpart and feels like he is operating from an ivory tower. Since he has gotten new requirements from his executives, Smith asks his designer “squeeze them in”. He has no justification for why the Bradley needs to carry more ammo other than saying that “it’s what the General wants”. This can never be a good answer for a product manager to give to his or her engineering colleagues. Smith is merely the messenger rather than being a product manager who is representing the market and customer reality. As a result, Col Smith is not going to enjoy his colleague’s support. He even vents his frustration about the project having dragged on for 11 years with nothing to show and him not getting a promotion. What should Col Smith have done here? Every product manager would do well to remember that architects/designers/engineers are really smart people who often present useful insights. They are not just geeks. A good product manager must always respect that and forge a partnership. Perhaps this is military protocol, but in the corporate world, a Product Manager would do well to have his or her architect/designer/engineer partner also be in the meeting to support each other and present as a team. In the meetings with the Generals, it is likely that Smith is representing the designer’s views of pros and cons, well mostly cons, but Smith goes into this all by himself, making it look like 1 against 3, an argument he has no chance of winning. 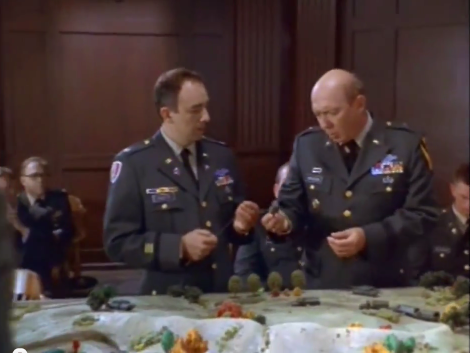 Ultimately, as the Congressional Armed Services Committee questions Major General Partridge (Kelsey Grammer), we learn that the Army has spent 17 years and $14 billion dollars of taxpayer money to build an armored vehicle, as compared to Smith’s projection of $1.5 million dollars. What’s a recipe for disaster you ask? How about a weak product manager who lets others push their own agenda, lets others design his product on the fly, does not focus on the true need, and does not have the courage of his convictions. What a tragedy! I think the initial estimate of $1.5 million was the projected price for each troop carrier, not the total design budget. Great analysis otherwise, however. Thanks for your comment Luke. Yes your observation is correct. For sure a mess and a bad example of PM. However, the BFV has performed very well in combat, responsible for destroying many enemy tanks in ODS and OIF. In OIF the BFV was vulnerable to IEDs not sure if the designers would have anticipated that threat to the degree seen in Iraq.